Today the whole world is seriously discussing the issue of the transition of the educational process to electronic textbooks. Various advantages and disadvantages of introducing electronic textbooks are discussed. But, as always happens, they forget to ask the end users of these remarkable technological innovations – do they need it? What can come out of this experience and will it come in handy? 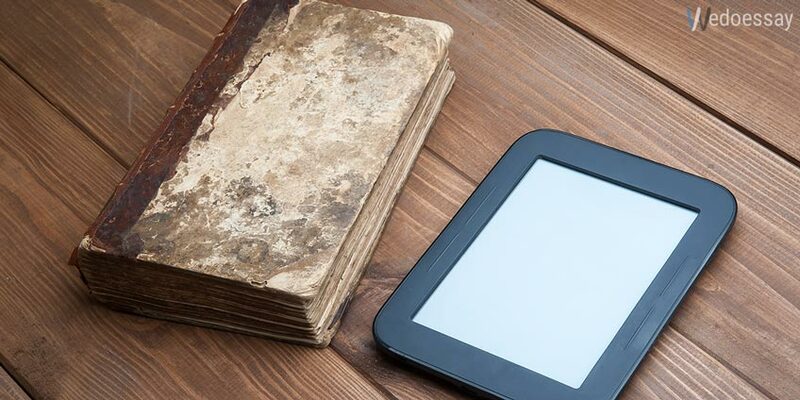 Now there are two arguments in favor of eBooks: physical (weight less, more convenient to carry) and financial – the electronic book is cheaper than a set of paper books for all 10 years. Let us go over both theses. Indeed, one eBook weighs like about one textbook, but how many textbooks have schoolchildren carry? It is enough to mention that one subject is one textbook and one can start to be horrified. But the whole point of this decision is killed by its vagueness. It does not look like the fundamental change in the image of teaching at schools since it does not solve the main real minus of paper publications – the inconvenience of working with information. You will have to rewrite the conditions of the task or the necessary paragraph from the electronic pages of the textbook as well as from the pages of the usual one. Also, there are purely technical limitations: for example, the possibilities of using eBook in the educational process are very limited, because electronic books do not have enough flexibility to create the necessary level of involvement in the learning process. In particular, it is not so easy to navigate between pages, documents, tables and graphs compared to how it happens when using paper editions. But it is not even about technology. In the end, electronic readers will have their own niche, oriented more to the consumption of information than working with it, generating content or communicating. Reading books is the same. The opportunity to edit the text or make small notes is enough. However, this is not enough for the educational process, the basis of which is the work with information, and not the stupid cramming of the material read. All sorts of workbooks that have become popular at schools in the last decade are from this area. And the electronic book is inferior in its capabilities even to them. But there is a huge market for tablets, netbooks and laptops around. And only the natural conservatism of the educational system so far inhibits their invasion of the educational process. But such penetration is inevitable in one form or another in the foreseeable future. And then the eBooks will have big problems – they are inferior to both books and computers on different parameters. So, this decision is certainly intermediate, creating only an extra stress of the already tortured education system. Is it necessary to spend the time and effort to implement this solution? We are sure that this should not be done on a national scale. This can be a test at the level of individual schools or even families. Supporters of the introduction of eBooks speak for the profitability of this solution. Indeed, it is enough to buy a device once, download textbooks for the whole academic period and study peacefully. The unreality of this model is obvious – who will write these books and for what money to publish them? This approach is justified except for moss-covered old textbooks – digitize them and distribute to anyone you want. And okay if this is a textbook of mathematics. And physics, literature, history? New editions, scientific and educational methods are a whole industry that should receive money for its work. Therefore, in the case of electronic textbooks, the scheme of the "store of educational applications" is more justified: you come from a tablet or even eBook there and choose the book recommended by the professor or the rating of downloads. In such cases, the publishing business could subsidize eBooks, like cellular phones do with iPhones, for example. After all, come to think of it, the benefits from this can be enormous: you negotiate with schools, and even better – with the Ministry of Education, purchase a batch of the simplest electronic books, distribute them to schools and earn on selling textbooks in electronic form, taking off a heap of costs for printing publications and the need to share profits with stores. A huge market (millions of children!) with guaranteed sales – all the same everyone is learning with the same books of the same publishers – is open. The consumer will also benefit from this by receiving the same books at a lower price plus eBook. But this, of course, is still a utopia. The publishing business is very conservative and sluggish as well as the educational environment that it serves. But, if for education conservatism is good, it is almost always a guarantee of lost opportunities and profits in business. However, the introduction of electronic books without a commercial initiative is a hopeless step, an unnecessary waste of public money and nothing more. Research has shown that students consider paper books to be more flexible tool, supporting a wider range of styles of reading and learning than electronic books. All people read in different ways. Sometimes it is important to completely immerse yourself in the text and read without interruption. Sometimes it is much more interesting to pass through some parts to quickly get to the point or the main arguments. Sometimes books are used to quickly find information only on a specific topic. You can skip a part of the text or go back to several sections back comparing them. You can make notes on the margins or select the places that you read. Reading is a deeply personal and very peculiar activity. Each reader is unique. The researchers note that in addition to the fact that it is possible to read a paper book in different ways, it contains many subtle hints about the structure of the book and the content. We make a "cognitive map" of a solid book when we read it. During the reading, we fix in the mind the arrangement of specific sentences on the page and the ratio of them to the text as a whole. These constructions help us remember where one idea or another is in this text. Cognitive map helps us to retain and recall certain data that can be useful for the student reading academic texts in order to find specific information. Read more in the second part of the article.